Why don't cars have this much character anymore? 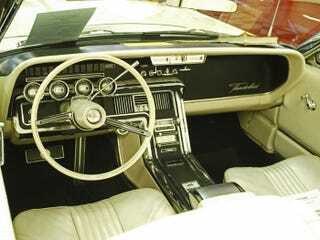 So, I detailed a 1965 Thunderbird at work today (not this exact one, but this same color), and having not spent much time around 60’s cars, I was absolutely astonished at just how awesome this interior was. Look at the HVAC controls in the top center of the dashboard. Changing the fan settings makes you feel like you are preparing a plane for takeoff. I’ll admit that is was a pain to clean all of that trim. But I also saw it as a privilege to sit in a car from a time that afforded so much design freedom and a priority of character over manufacturing penny pinching.